Stark Trading System is a new binary options product that’s available for free for the next 50 traders that sign up. The developers are telling us that if we enter email below we will make $8000 in the next 24 hours. Today I will be reviewing this software so the binary today readers understand how it works and if we should take it seriously as an investment opportunity. The developer of the Stark trading system goes by the name Antonio Stark and he says that once these 50 spots are filled up this page will disappear forever. At that time he will be focusing on making the 50 members who joined millionaires within one year. On the left-hand side of the page there is a millionaire guarantee which says that by accepting the offer you can be sure to make at least $8000 per day on average. We’ve certainly seen claims like these before and they never seem to come through, so what sets this one apart from the others? It doesn’t seem like anything is different. The Stark trading system website provides us with a simple video and an email subscription form. The members area like most in the binary options market provides us with a counter that forces us to register within the next 7 minutes or our spot will pass. However, if you refresh the webpage the 7 minutes will always restart so I feel like this is just a marketing method trying to get us to make a quick and brash decision. There are no results anywhere on the webpage and there is no discussion of how the software works or why it works. I’m at the point now where I really need to know more about a system before I can start investing my money. They claim to be the fastest and most reliable millionaire making software on the market today that there is no proof to back up their claims. I will not be recommending the Stark trading system to the binary today readers. While I would love for a system to come out and automatically make some of my readers millionaires I just don’t feel like this is the opportunity. 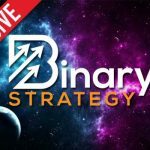 Our goal here at binary today is to steadily grow our accounts over time and turn binary options into a passive income. Get rich quick schemes are not what we are looking for and it’s clear to me that a system promising $8000 a day does not meet our expectations. If you would like to leave a comment attached to this review you can do so now. I look forward to talking with you about binary options and anything else that interests you in the trading world.